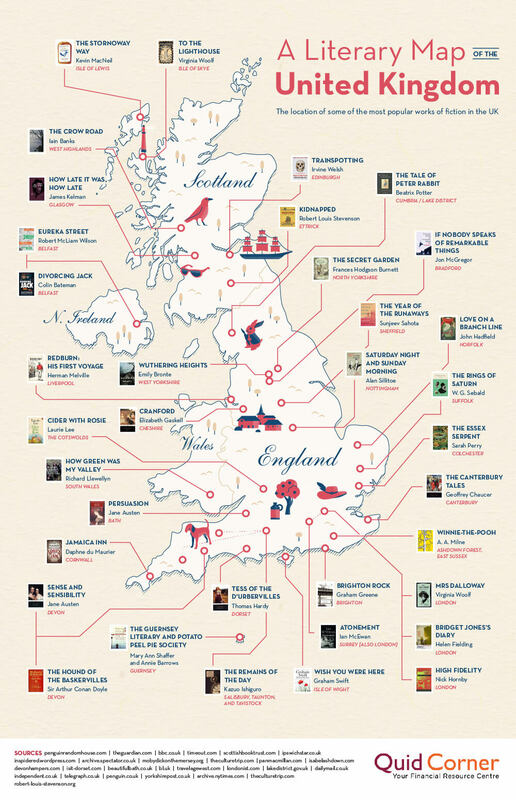 This entry was posted in Books, Europe, Maps, Tourism and tagged England, Isle of White, Scotland, United Kingdom, Wales. Bookmark the permalink. OK. I am going to speak out on behalf of the Far South West of England that is Cornwall. “Jamaica Inn” is not where it is marked on this map, it’s further east. If the mapmaker wants a Du Maurier for this spot, I think it’s “Frenchman’s Creek”.